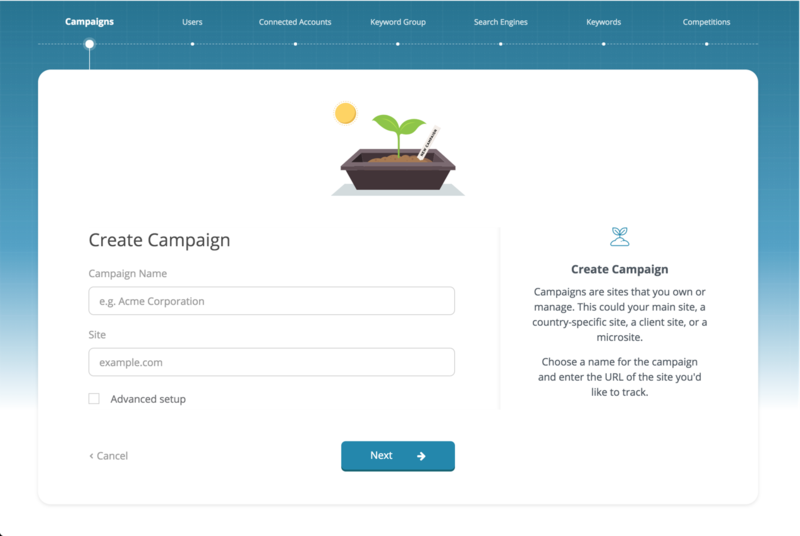 At the entrance page of the Quick Start Wizard, you will need to define your campaign name, tracking URL and choose whether you'd like to enable advanced setup. Normal setup will omit a few non-essential options during the campaign creation process and no matter which setup mode you choose, you can change all these settings after the campaign's been created. You can also track websites with specific subdomain or subdirectory in Dragon Metrics, learn more about tracking URL scope here. After entering necessary information, click Next to proceed, at any step within the Quick Start Wizard, you can use the Next and Previous button to move on to the next step or go back any previous steps, if you want to abandon the whole creation process click Cancel. 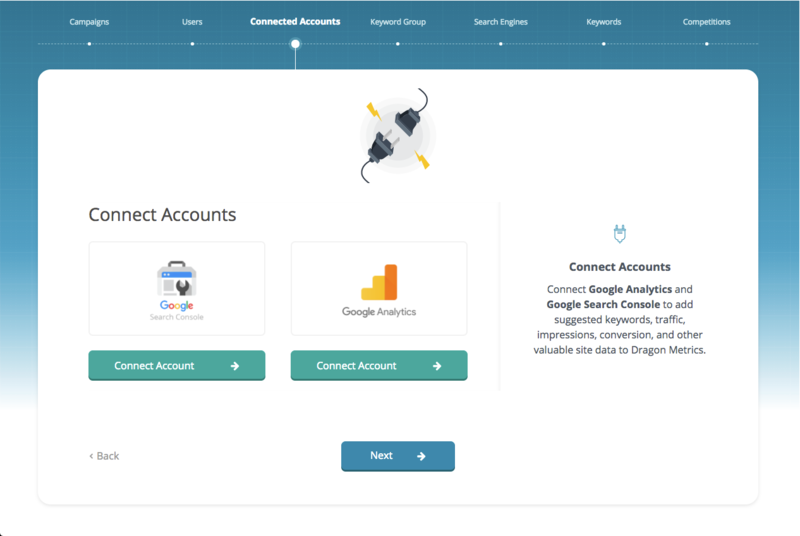 Crawl settings will allow you to choose whether you want Dragon Metrics to crawl your site in order to provide Site Auditor or Site Explorer data. 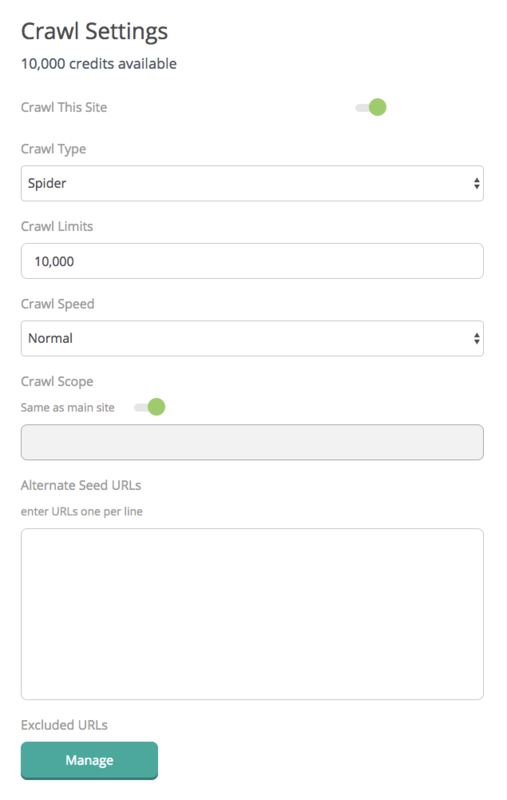 You can choose different crawl types, limit the amount of URLs we can crawl for this new campaign, choose different crawl speed, you can also define an Alternate Seed URL or manage Excluded URLs. Enabling Link Tracking will allow us to get backlinks to your site automatically and show them in Link Manager, if you are not interested in this data, uncheck the Track links automatically checkbox. It's possible to control which users in the account can access the Campaign and which cannot. 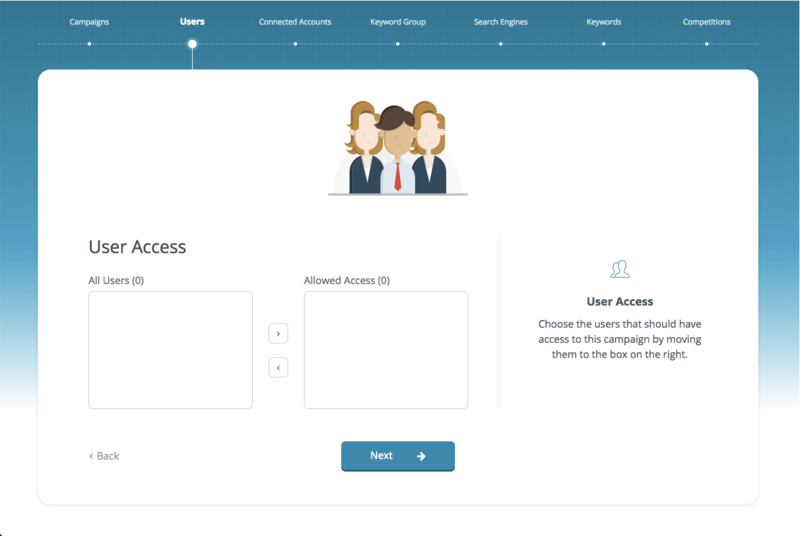 To give access to users, simply select them from the list of all users in the account on the left (use ctrl+click or shift+click to select multiples) and click the right arrow. To remove access for a user, click on their username in the list on the right and click the left arrow. 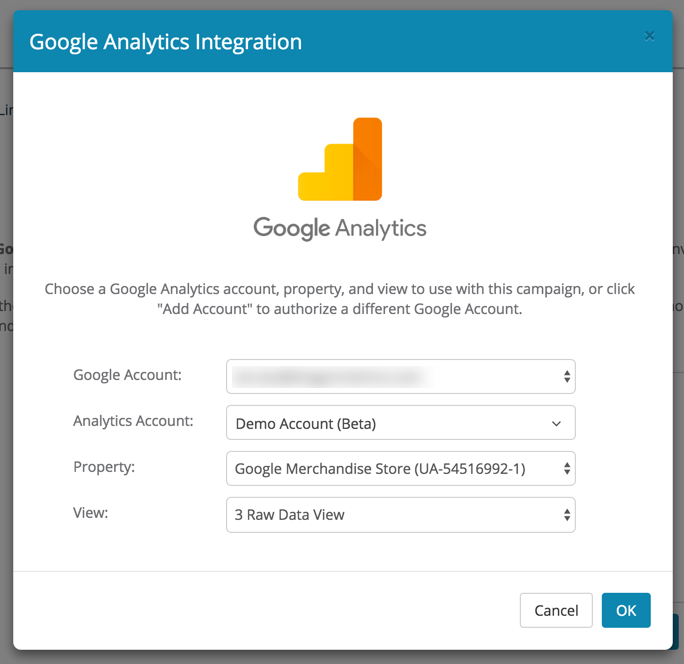 Dragon Metrics integrate with data from Google Analytics and Google Search Console. To set up integration with any of these tools, click on their respective Add button. You'll then be presented with the addition steps to finish the integration. If no integration is desired, simply click on Next to proceed. 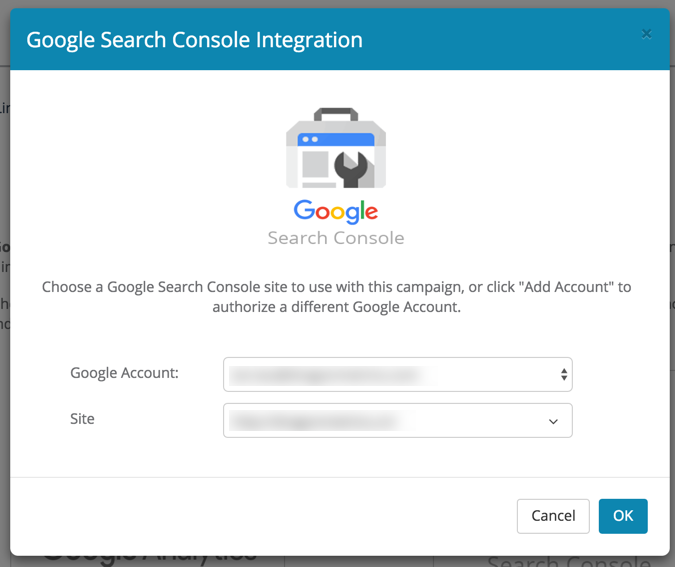 Websites with Full Google Search Console access level in your selected Google Account will be available here for integration, you can also add more Google Account by choosing Add New Account under Google Account dropdown menu. 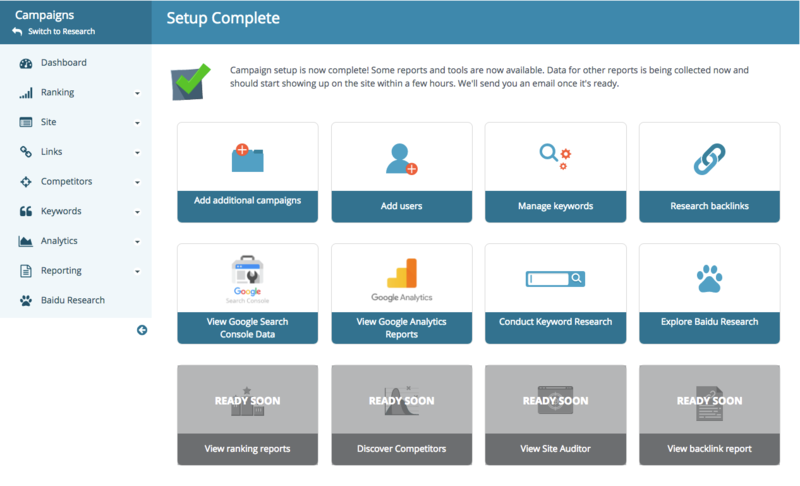 In this step you can start creating the first keyword group for this campaign, if you prefer to do it in a later time you can choose "I'll create keyword groups later (required for rank tracking)". Otherwise, give this keyword group a name and proceed. 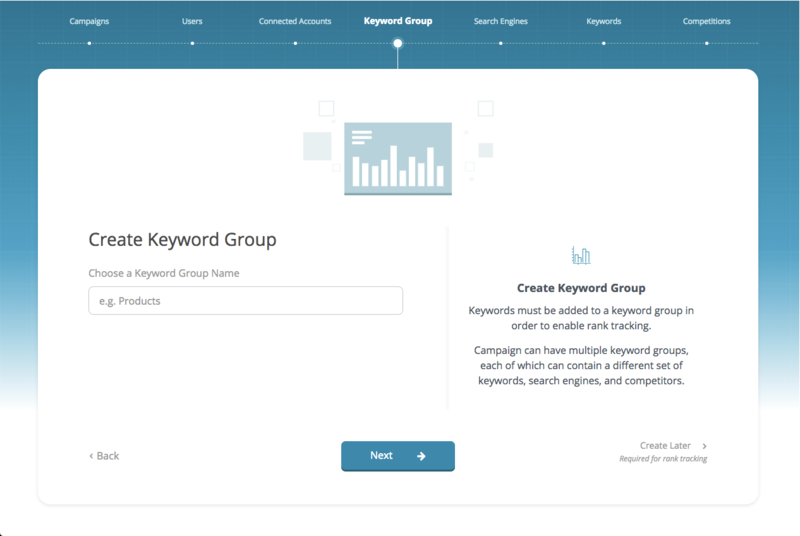 Learn more about Keyword Group here. 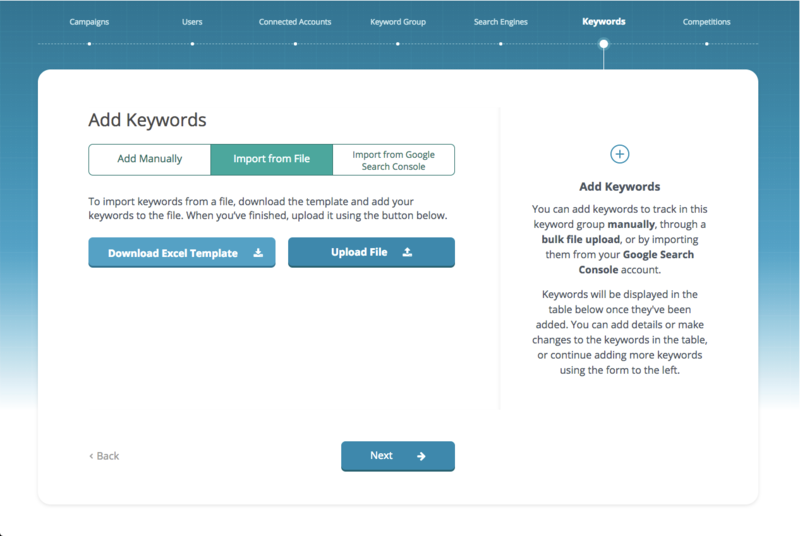 Choosing the "Import from File" radial button will allow you to download a keyword file Excel template, you'll need to download the file, adding keywords into the file and upload it back to this page. 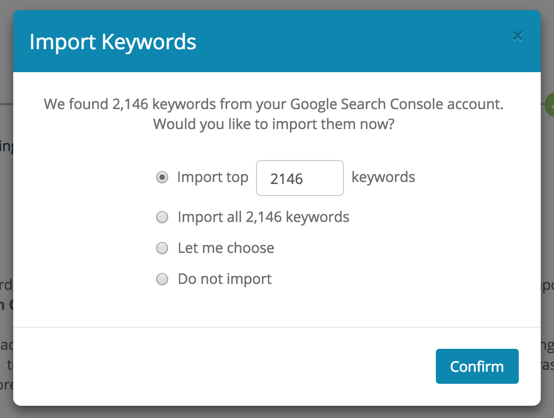 In this step, we will gather all the keywords from last 90 days Google Search Console data, and you can choose to import all of them or some of them depends on your needs and remaining keyword credits. 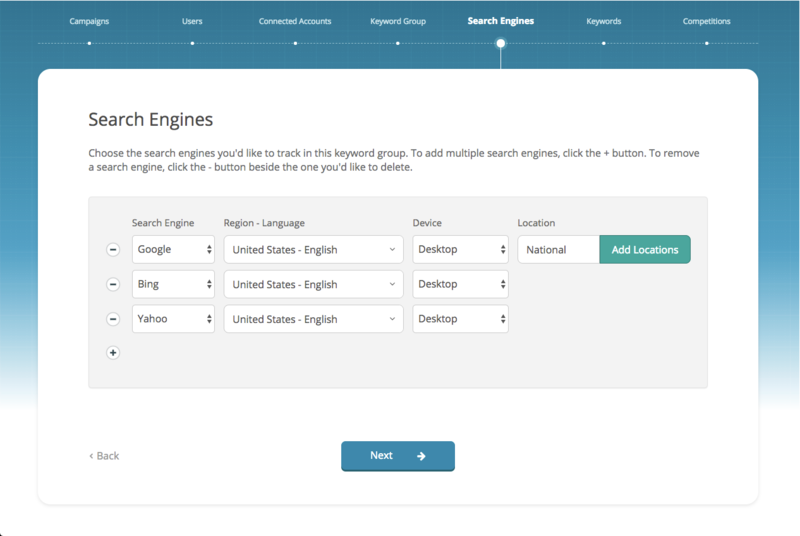 After adding keywords, you can see these keywords popping up in the table further down the page, you can add extra information like Translations, Tags, Preferred Landing Page and review your keywords here. 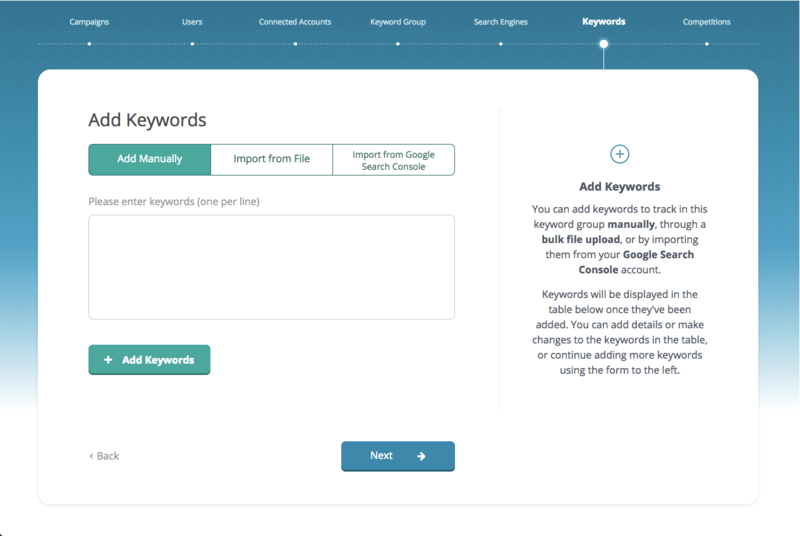 Learn more about Keyword Fields. 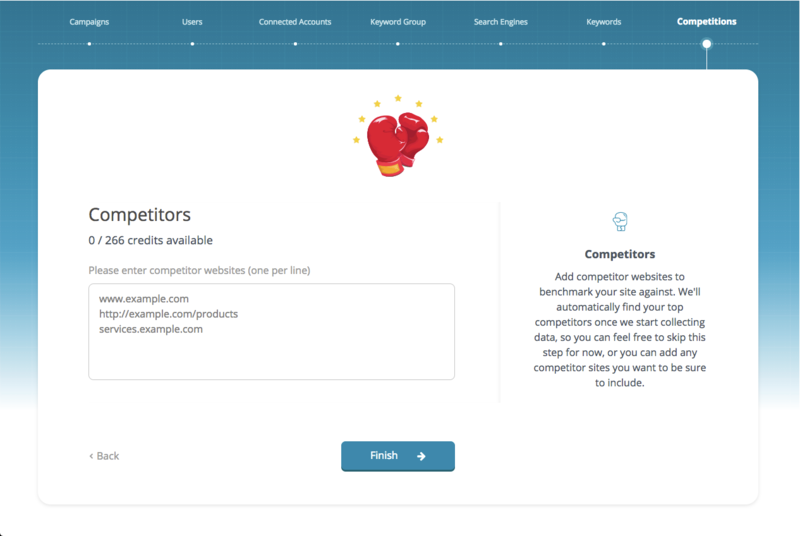 In this step you'll be able to enter competitors you'd like to track in this campaign by pasting them into the text box, if you are not sure about which competitors you should be tracking you can just leave it blank, because we can find them out for you after campaign creation with the Competitor Discovery tool. Learn more about competitors here. After clicking Finish in the Competitor screen, you will get to the main app interface and get further instructions on what to expect / do next in Dragon Metrics!